So I couldn’t get myself to pay for the Sealand 711 and we didn’t want to spend another season with the Thetford in our '04 2720. 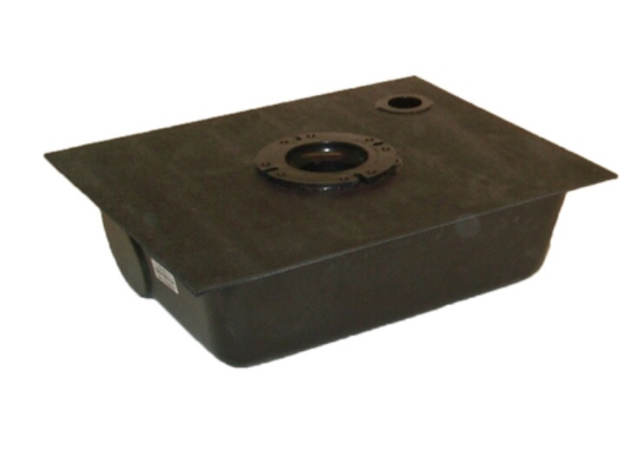 Looking around I found this 8.5 gallon holding tank made by Icon that is designed to have a toilet direct mount and reinforced to support the weight of a person. I ordered one from Amazon ($140) to see if it might work. It seemed plenty sturdy so I decided to continue. 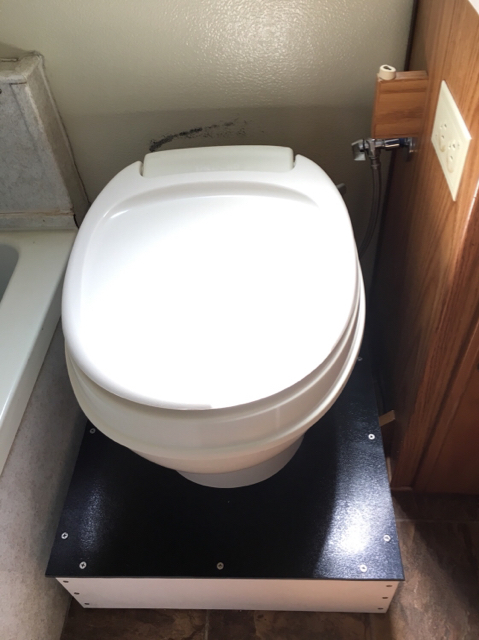 I found a Thetford low profile toilet on eBay new for $95. 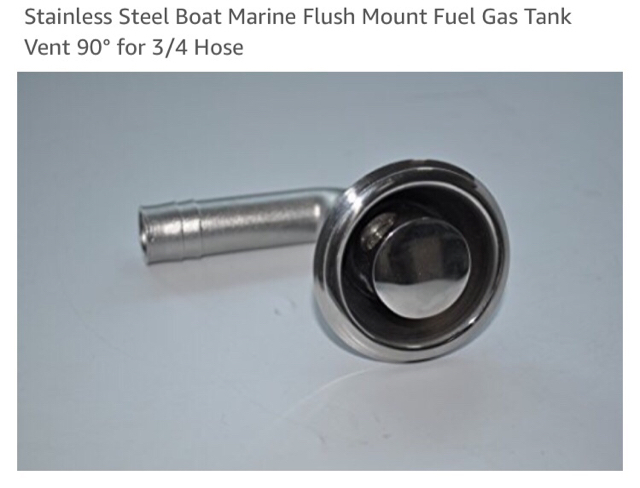 For venting I decided to use a marine through hull vent from Amazon. 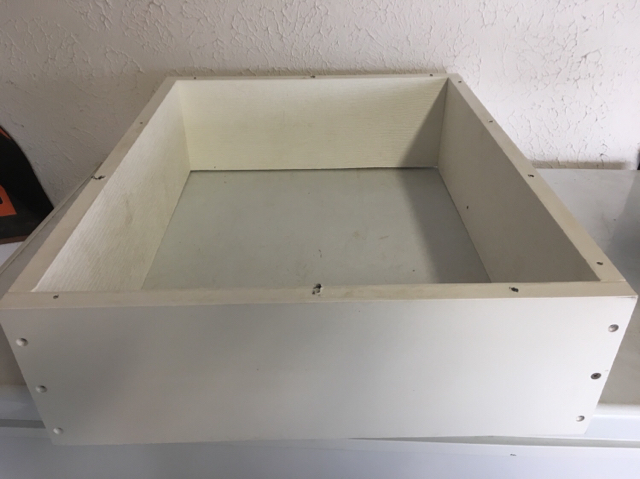 The tank is 6” tall, so to secure it I built a box. 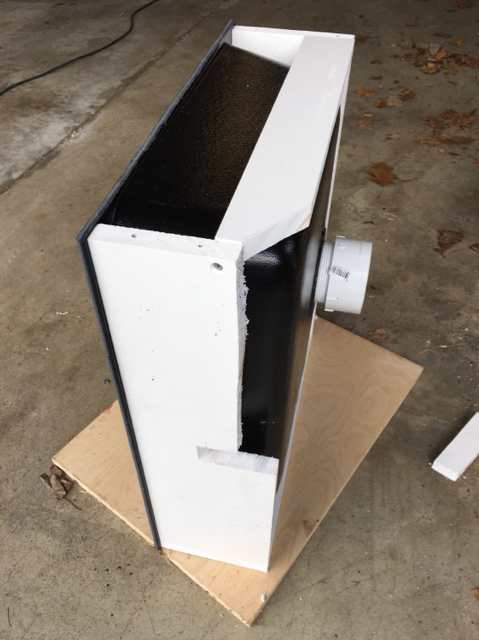 I ripped a piece of 1x8 pvc trimboard down to 6” wide to build it with. 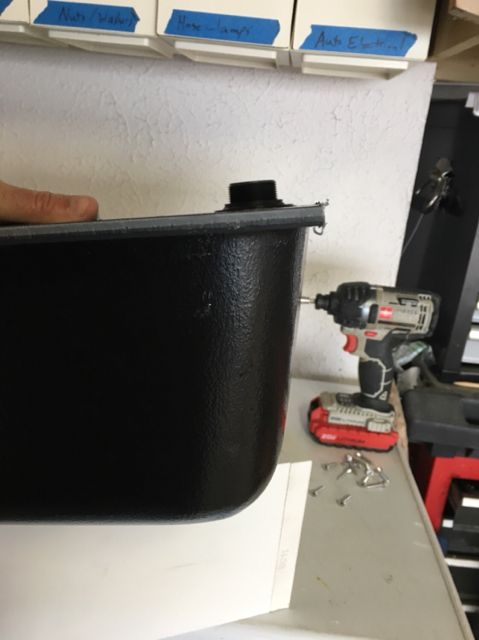 Then I drilled holes around the lip of the tank to secure it to the box with stainless screws. I did this before opening the trailer. 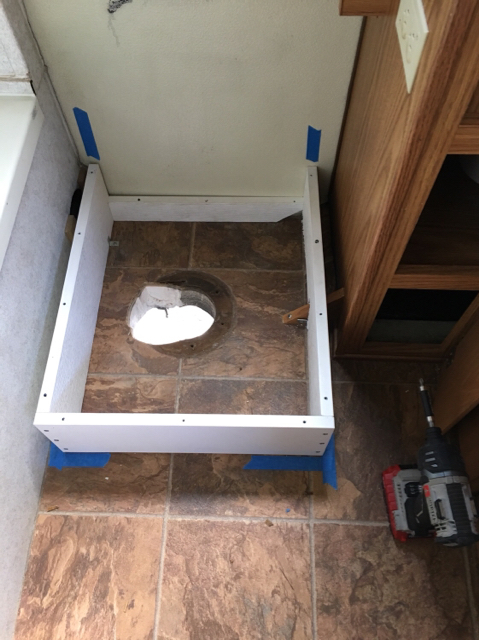 Once I removed the old toilet i realized I was going to have to modify. 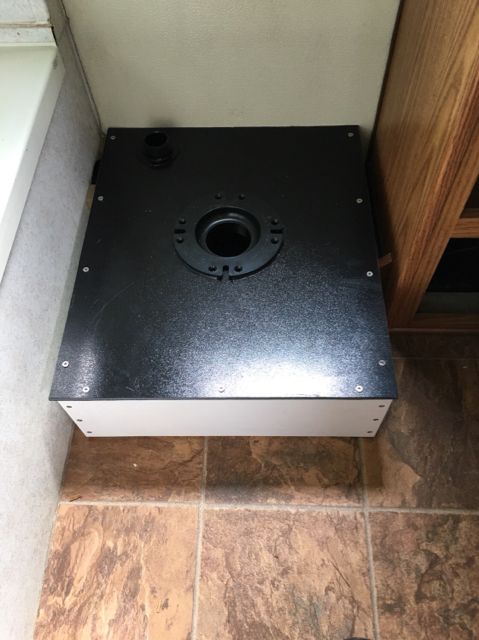 The discharge on the tank was located 3/4” closer to the frame rail in the trailer and 2” toward the tub from the hole in the floor. 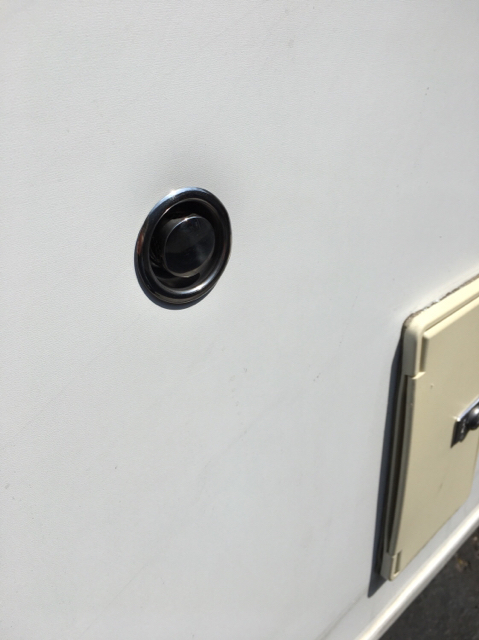 The 2” would be easy to trim off the existing hole but the 3/4” would put it on the trailer frame. 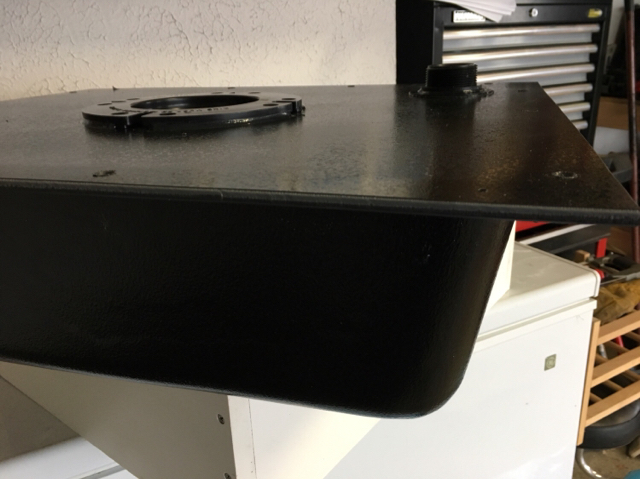 Luckily the mounting flange on the tank is 1-1/4”, so I was able to trim off 3/4” from the back side. 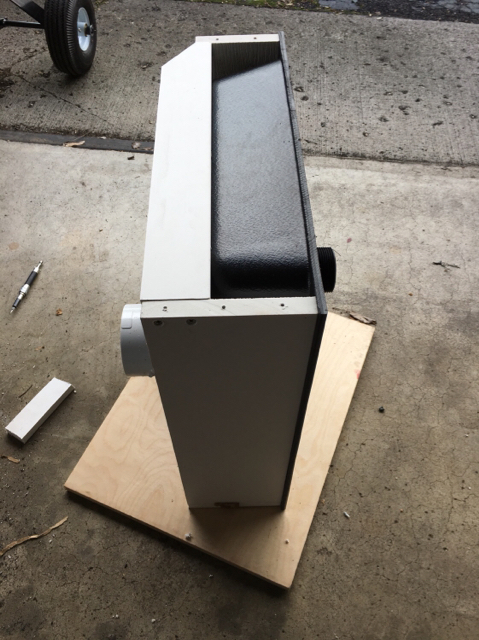 Now I had to modify the box I built for the shortened back flange AND for the wheelwell interference I didn’t anticipate. Keep in mind the box only secures the tank in place, the tank itself is structural. The box I then screwed to the floor with some small L brackets and then screwed the tank down. 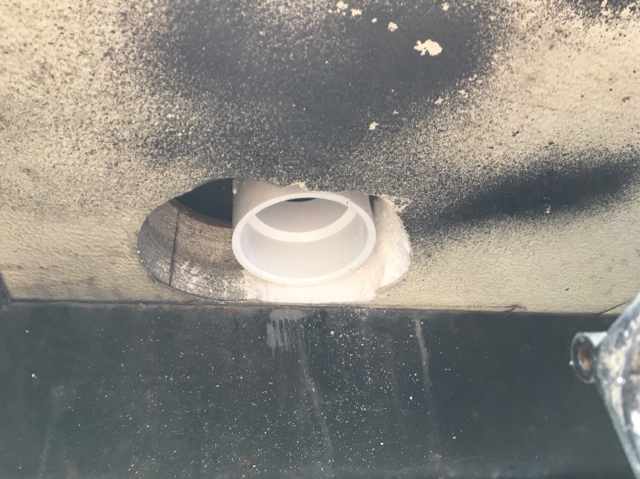 For the vent I made a hole in the side right above the line from the tank. 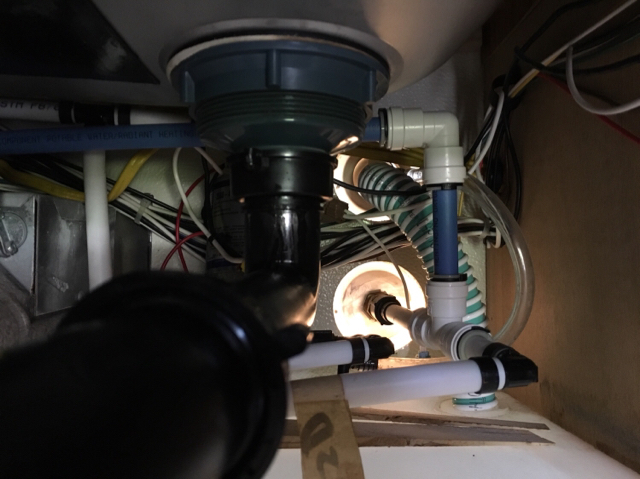 For the water supply I enlarged the hole the power for the old toilet went through and ran pex to under the kitchen sink so it would be easier work with the fittings. 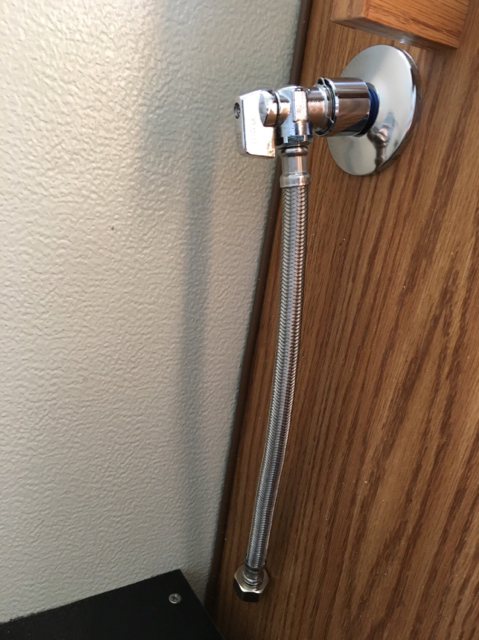 I terminated the line with this push fitting supply line and valve combo. All in all it turned out pretty well. 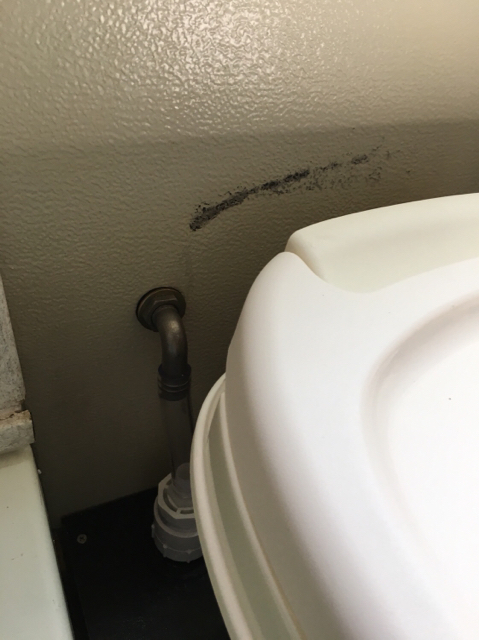 Here you can see the discharge is the same distance from the frame rail as the original, just moved 2” to the rear of the trailer. I’m currently repairing a crack in my grey tank so I haven’t completed the exterior plumbing yet. It’s easy though. 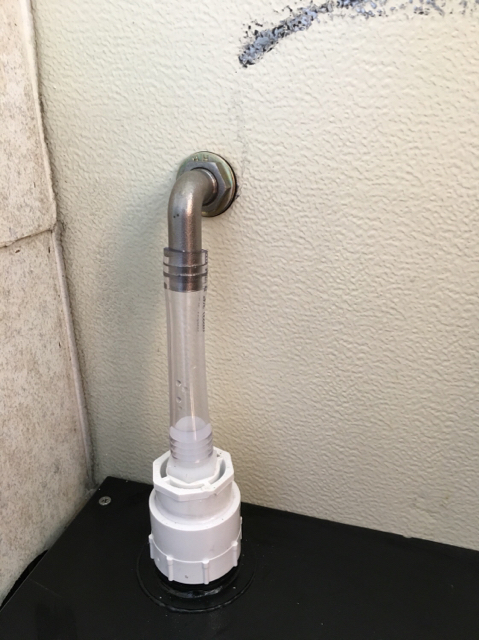 A small stub of pvc glued to the threaded coupler in the bottom of the tank, then join to the old 3” with a rubber coupler. Then shorten the 1-1/2” side by 2” and reconnect with either a glued coupler or a rubber coupler. I will post pics once that part is completed. I know there are a few things I'm probably missing but as you can see it came out to right about $300 and could have been cheaper with other choices.